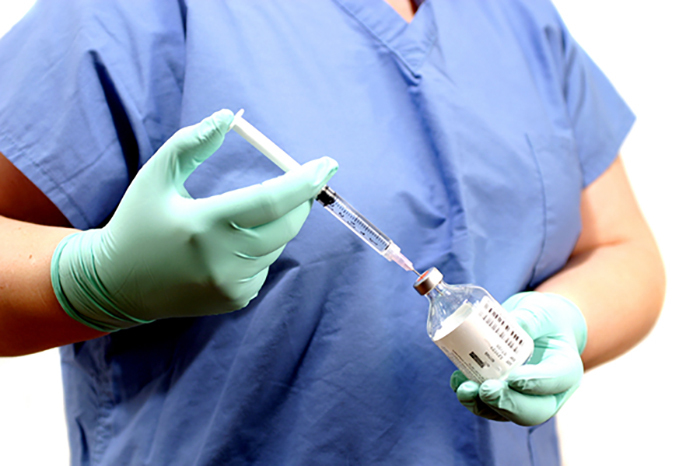 We have all heard the horror stories…of nurses using used needles and syringes, using unsafe techniques, using the same fluid bags or vials, and other of improper injection practices, making patients sick, or at minimum, requiring notification and testing of exposed patients. These unsafe injection practices, which most significantly can cause patient harm, have also lead to facility license revocations, closures, and malpractice lawsuits. We all trust that our facilities are safe, and cringe when we hear the stories and read the headlines. BUT, how can we be sure that our facility is safe? I recently read an AAAHC report from October of 2017 that indicated we all are not. From their news release, titled “Study finds Compliance Concerns Remain with Safe Injection Practices” in which ninety ASC’s were participants, more than 10% deficiencies were noted overall. How do we make sure that our facilities are safe? Make sure that Safe Injection Practices are part of your Infection Control Plan. Ensure that your Infection Control Coordinator is focusing on the issue, and that annual education and training occurs for everyone who injects patients. Perform regular Safe Injection Practice Audits. Audit staff at least quarterly in all clinical areas. 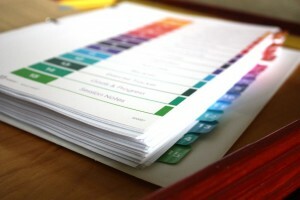 Want a copy of our audit tool? Click here to link to our membership site and download for free from our library. Post visual reminders. The CDC has great tools and resources to support your safe injection practices initiative. You can find them at: https://www.cdc.gov/injectionsafety/providers.html. Want a great infographic? We love this one from the One And Only Campaign. Click here to go to it directly. Encourage your staff to speak up. If someone sees unsafe practices, they need to report it for patient safety. 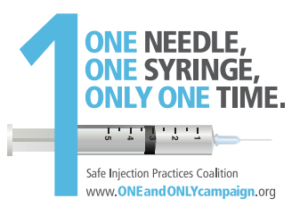 Remind everyone in your staff meetings and in-services that injection safety = patient safety. Utilize the CMS Infection Control Tool as a safe injection resource. You can find it here. Check your inventory. Is your facility buying multi-dose vials when there is a single dose alternative? A simple inventory change may save a patient. Need assistance? Visit the oneandonlycampaign.org for great resources and information. I love the simple but powerful tools they provide to educate and focus on these important processes to ensure patient safety.